Soy-free whole grain feed. Photo courtesy New Country Organics. New Country Organics has a fast-track approach for sharing their business mission. In my one hand, they place a bag of a competitor’s organic, animal feed product. A uniform grind of grains and unnamed ingredients, it is a pelletized collection of nutrients and looks like every bag of chicken feed I have ever purchased. 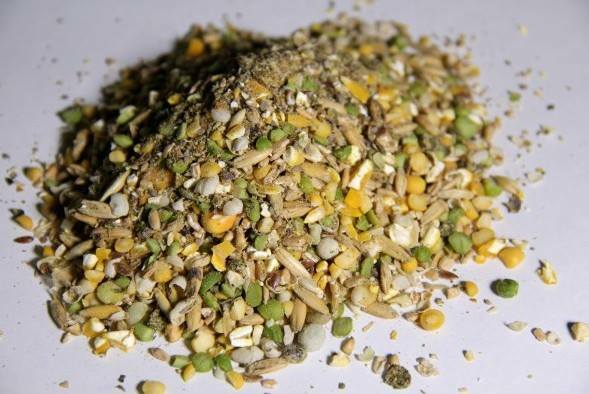 New Country Organics believes that, until now, animal feed has suffered from the same industrial logic as much of the country’s food chain: low cost formulas, fillers, and waste products. “We are at the cusp of a revolution in animal food that mirrors the unfolding revolution in human food,” says Jim. “Health scares among many have resulted in a determination to reclaim our food chain.” Ensuring that animals have access to healthy, whole, and organic feed is the first link in that chain. 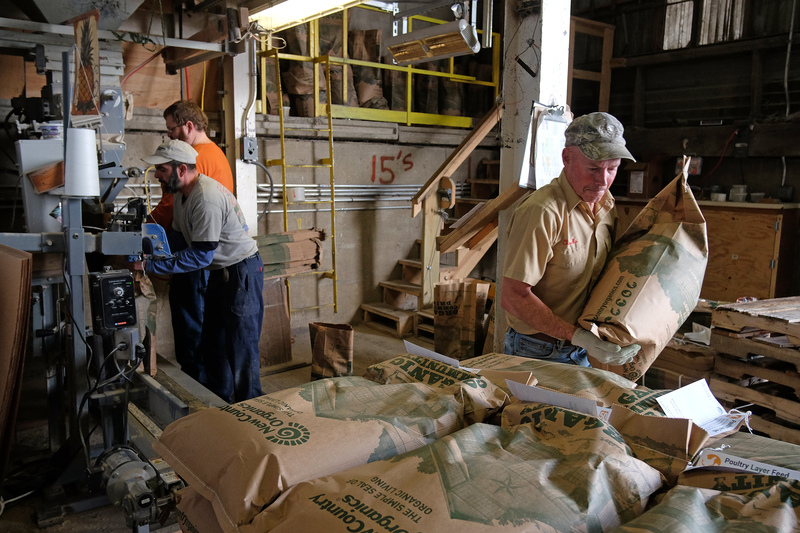 Charlie Smith stacks freshly filled bags of layer feed in the warehouse at New Country Organics in Waynesboro. (Photo by Norm Shafer). In a world that is increasingly complex, and in an economy controlled by ever larger, more complex corporations, New Country Organics views taking back the food chain as an exercise in local sovereignty and sustainability. Their social mission goals include creating ever more acreage in organic agriculture. Says Jim, “Part of why we buy American and as locally as possible is to create a market for the kind of growing practices that heal rather than harm.” For New Country Organics, that means helping farmers put more into the soil than they remove, building fertility and renewal over time. Jim Campbell, CEO of New Country Organics in Waynesboro. (Photo by Norm Shafer). The team’s commitment to sustainable living shines through in many of their business practices. Redeveloping and reinhabiting vacant sites in Basic City requires far lower inputs of energy and resources than developing greenfield locations. Living in the same city that they work has allowed the full team to drive less and enjoy their community more. New Country Organics in Waynesboro (Photo by Norm Shafer). 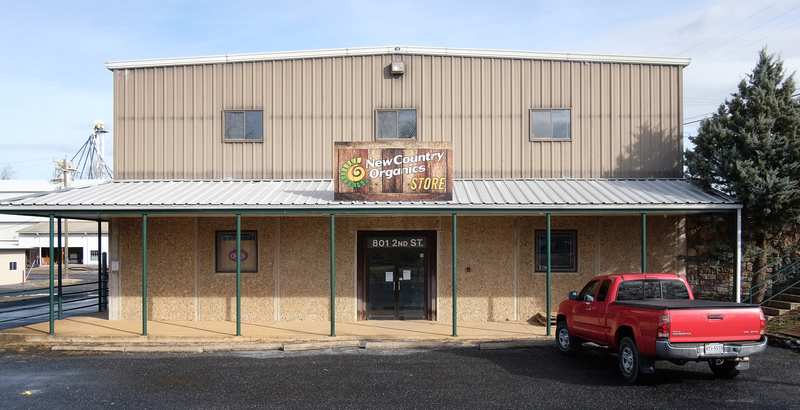 To learn more about New Country Organics and their Organic Manifesto, visit them online at www.newcountryorganics.com or stop by their retail outlet, located at 801 2nd Street in Waynesboro, with business hours Monday through Saturday. 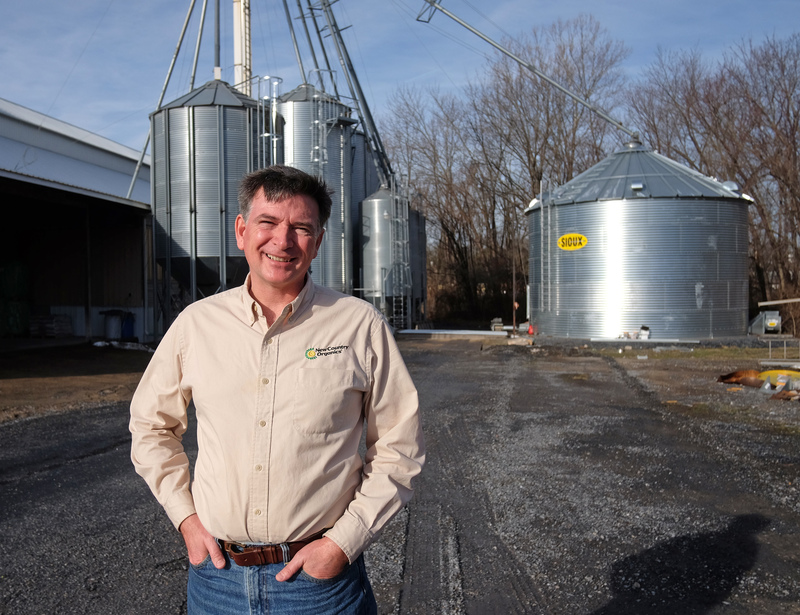 Also, check back often at GrowWaynesboro.com for new profiles of the farmers, business owners, innovators, and manufacturers that are helping grow a sustainable local economy in Waynesboro.